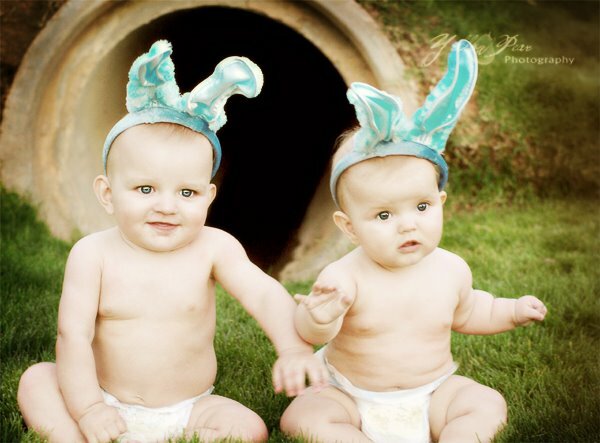 ...just hanging around outside their bunny hole...getting ready for Easter. 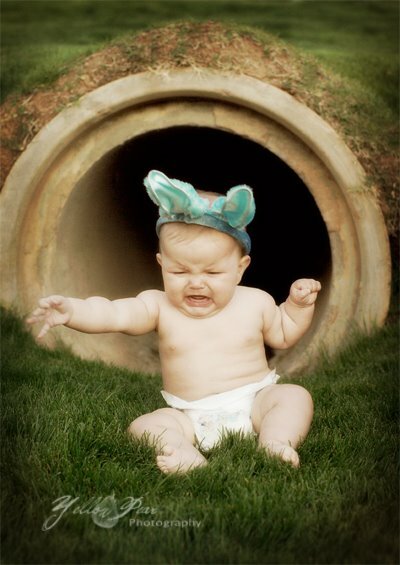 And I had to add this one because it is so cute...poor bunny, he doesn't seem to like to sit in grass much, or maybe he is stressed about the upcoming Easter rush...who knows? I am laughing out loud. I love these pictures. 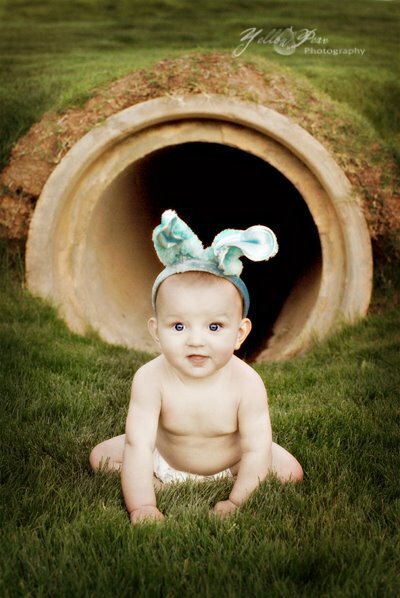 Could that little whole be any more perfect. How many rolls can we count. So perfect. Oh, cute! Who are those babies? Q and who? 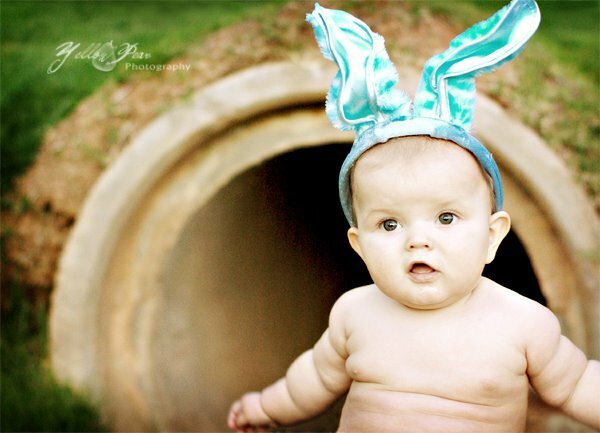 What a splendid and clever Easter pose idea!! Are those babies related..they must be, they look so much alike! I am definitely loving the bunnies for sure! Thanks E.
Oh gosh! how cute! Q and R are so adorable. I just can't get over the cuteness. They turned out so stinkin cute! Q & R are so adorable! The first picture is sooo precious! I loved them when you first showed them to me & I love them even more now! They look so magical! You're amazing!!! PS - Where is "The End" pics? It was hilarious! How adorable! I love the spot you did it at, perfection. Ok I am back looking again...I know, sorry. Anyways I wanted to say how much I love that first one of Q because he actually looks like he is ready to spring down the bunny trail....he is so cute! I love them; where did you find such a perfect spot? Yes!! I love the last pic!! 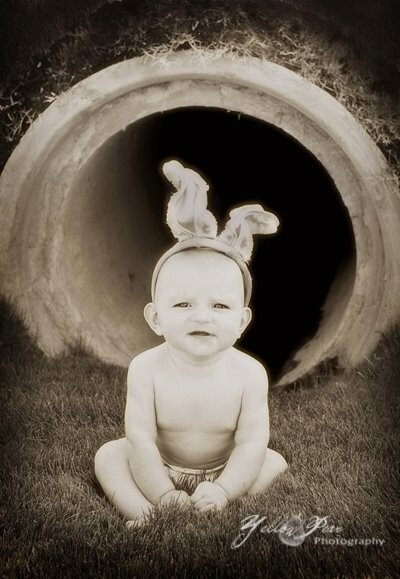 and the 'bunny hole' is genius!